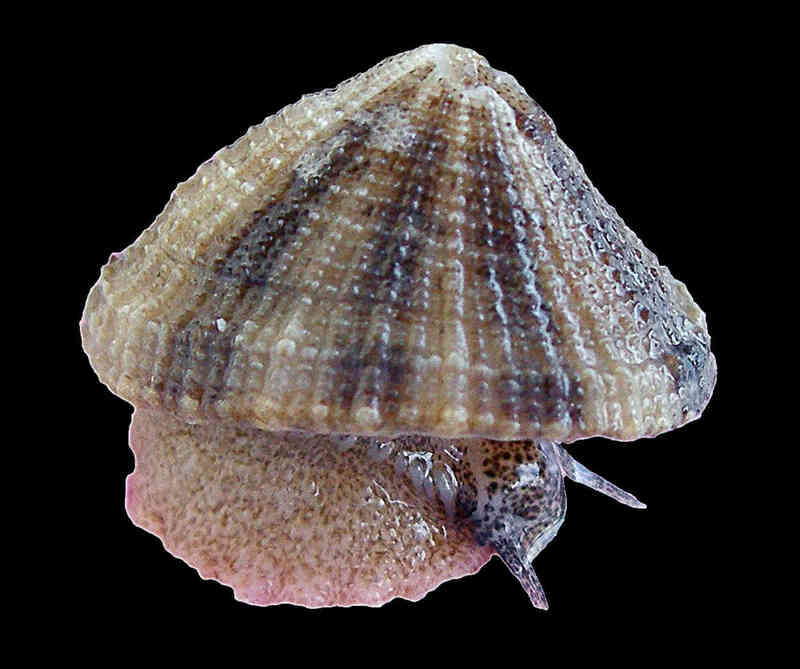 Shell size to 25 mm; shell elevated, elliptical. Keyhole elongate. Sculpture of numerous radial riblets of which every third or fourth is larger. Color buff, white, or dark-gray. 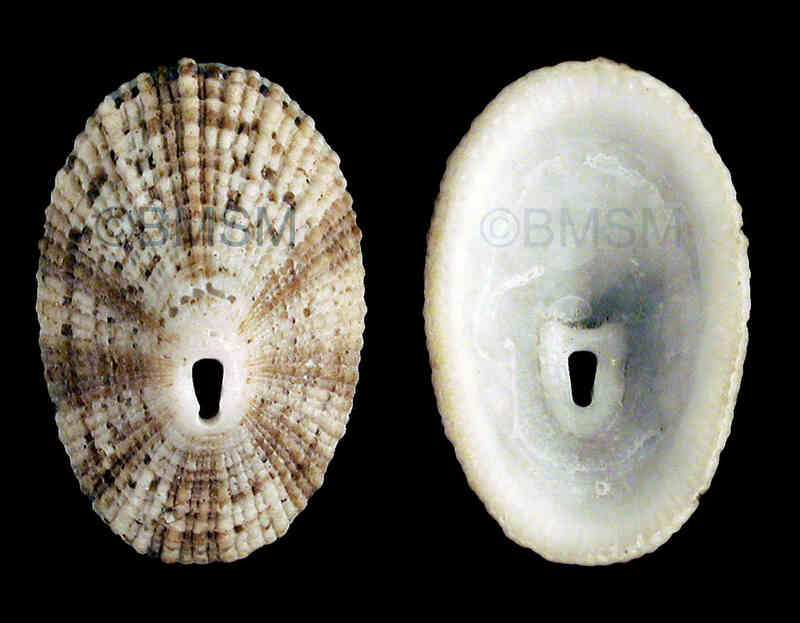 Like most representatives of the keyhole limpet family Fissurellidae, this species shows the typical keyhole-shaped orifice that serves to reroute waste water away from the head of the animal. The shell has a sculpture of numerous radial riblets of which every third or fourth is larger. The animal feeds on microalgae growing on rocks or other hard substrates.The picture of the live specimen was taken by Amy Tripp near Marco Island.